Hydrotherapy has grown in recent years as an excellent way to unwind and let go of modern stressors that you may encounter throughout your day. In fact, if you have ever spent time in a hotel hot tub after a long day of driving, you likely already know how beneficial hydrotherapy can be. To ensure the best experience possible, here are some of the reasons you should invest in a Healthy Living Hot Tub. 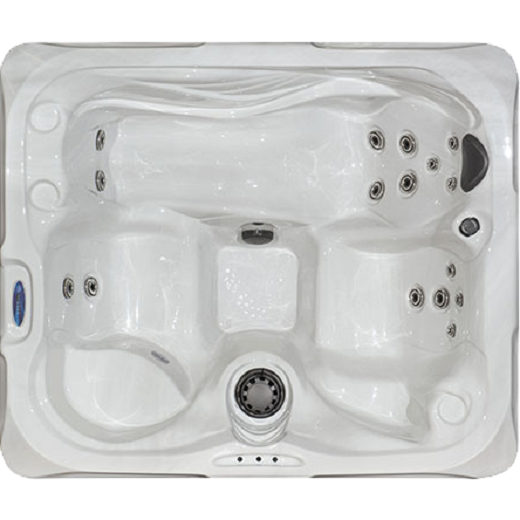 Each Healthy Living Hot Tub features one or more StressRelief Neck and Shoulder Seat™ to provide ultimate comfort and deliver a highly effective tension-relieving massage. This special headrest ensures that your shoulders and neck are at the optimal position to ensure the best position possible to benefit from powerful massaging jets. Your stress is guaranteed to melt away effortlessly with just a little bit of time in these incredible hot tubs. It’s no secret that lighting plays a significant part in being able to relax and get comfortable. When paired with hydrotherapy, you will have everything needed to create a relaxing and beneficial environment to help you relax. The Orion Light System included with each Healthy Living Hot Tub helps you create a soothing environment with a kaleidoscope of colors to further benefit your hot tub experience, particularly at night. You may be surprised to learn that nearly 70% of professional athletes utilize magnetic therapy to both increase their performance and obtain pain relief. To help homeowners achieve this powerful therapy from the comfort of their own home, Healthy Living Hot Tubs utilize the Master Force™ Bio-Magnetic Therapy System. Strategically placed, powerful magnets found behind the StressRelief Neck and Shoulder Seat™ to enhance your hydrotherapy. Aqua Haven Spas has been serving Oklahoma City since 2003 selling Quality Master Spas brand products. We strive to provide consumers with hard-to-find spa and pool care products and accessories; backyard entertainment products and more, all at the lowest prices on the internet. We encourage you to browse our swim spas to find the perfect one for you including Healthy Living Hot Tubs and Michael Phelps Swim Spas!